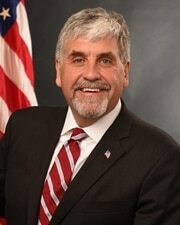 Eric D. Hargan is the Deputy Secretary of the Department of Health and Human Services (HHS). HHS is dedicated to promoting and enhancing the health and well-being of the American people, and as the largest department in the federal government has an annual budget in excess of $1.3 trillion and over 80,000 employees across 26 divisions. As Deputy Secretary, he is the Chief Operating Officer and is responsible for overseeing the day-to-day operations and management of the department in addition to leading policy and strategy development. Mr. Hargan was sworn into office as Deputy Secretary of the Department of Health and Human Services on October 6, 2017. He immediately served as Acting Secretary of HHS from October 2017 to January 2018. From 2003 to 2007, Mr. Hargan served at HHS in a variety of capacities, including holding the position of Acting Deputy Secretary. During his tenure at HHS, Mr. Hargan also served as the Department’s Regulatory Policy Officer, where he oversaw the development and approval of all HHS, CMS, and FDA regulations and significant guidances. Mr. Hargan was born and raised in Mounds, Illinois, a small town of approximately 800 located in the southern county of Pulaski. He currently lives in Virginia with his wife and their two sons.